This treatment gives you the best of two treatments leaving your feeling completely relaxed. The hot stones are massaged all over the back working on the full back neck and shoulders. The deep heat benefits a deeper massage and helps to increase circulation and muscle relaxation. As the Dermalogica mini facial follows the therapist will select a specific products for your skin giving your skin a through cleanse, exfoliation, mask and moisture. Leaving you with a complete feeling of relaxation and brighter skin. 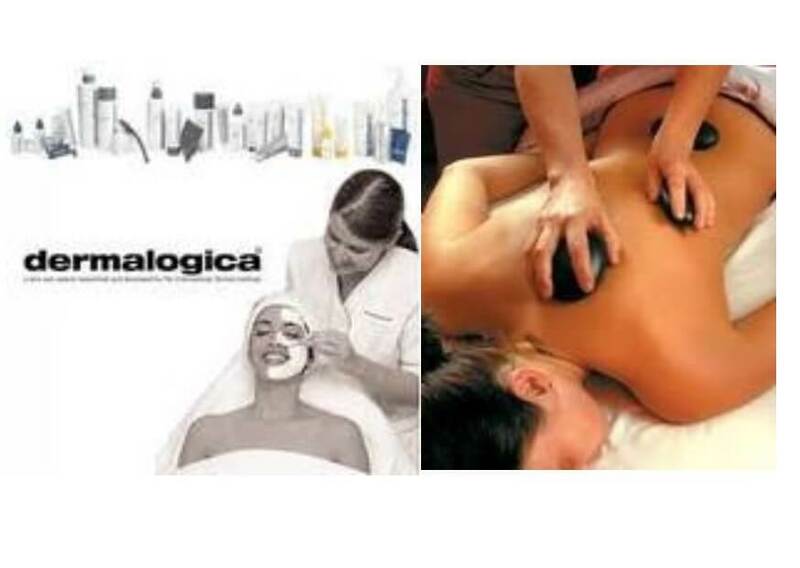 Hot Stone Back Neck and Shoulder Massage with a mini Dermalogica facial. A prefect gift for anyone who needs that sense of relaxation that lasts 55 minutes. A downloadable e-voucher is available.